We have had our tuff tray for a good 6 months now and it's definitely my best purchase for the little one. The things you can do on it are endless! 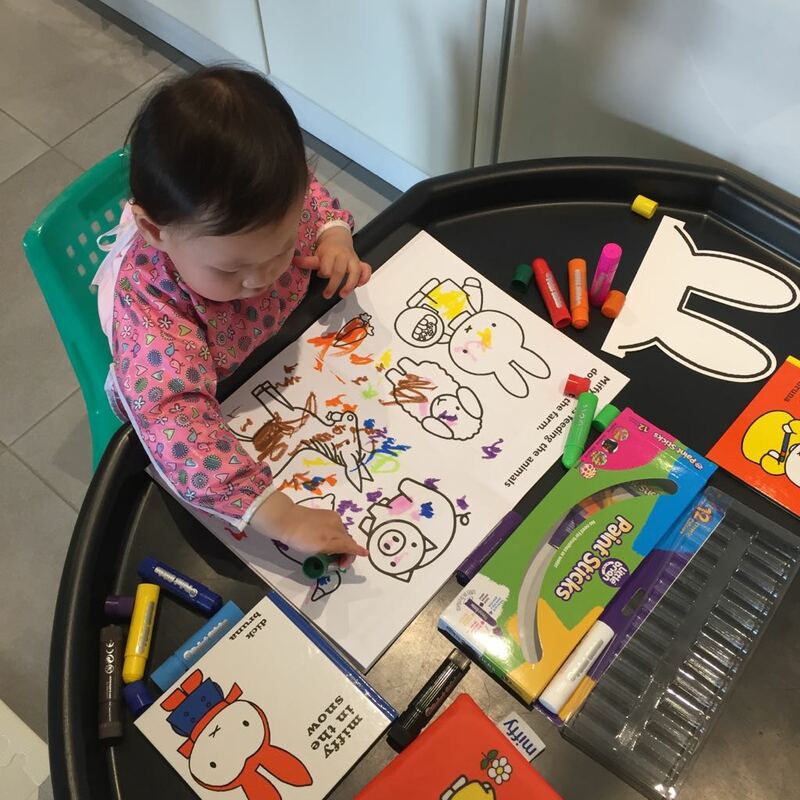 I purchased ours from Amazon (crazy gadget seller) and I wouldn't recommend buying the tray and stand set from there purely because the tray is not that great quality but the stand is very good. The top layer of the tray has started peeling slightly in the middle of the tray but it doesn't affect use so we are continuing with it for now and purchase a better one from B&Q later. These trays are traditionally used for mixing cement so most places like B&Q will sell them cheap. 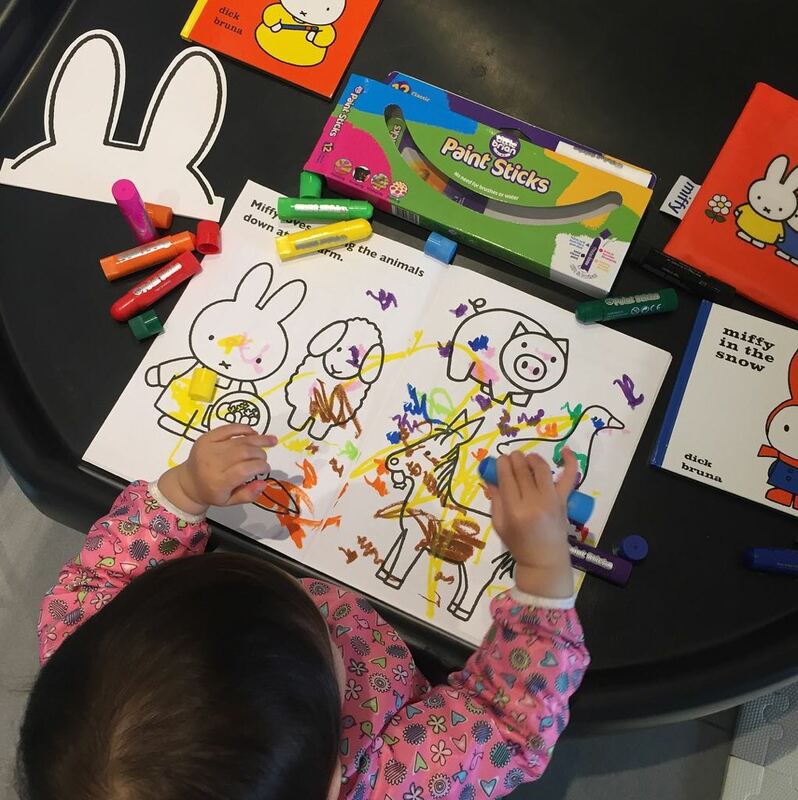 She adores Miffy so the *Miffy colouring books and Paint Sticks are her favourite combo and there is another in her stocking for Chrismas. 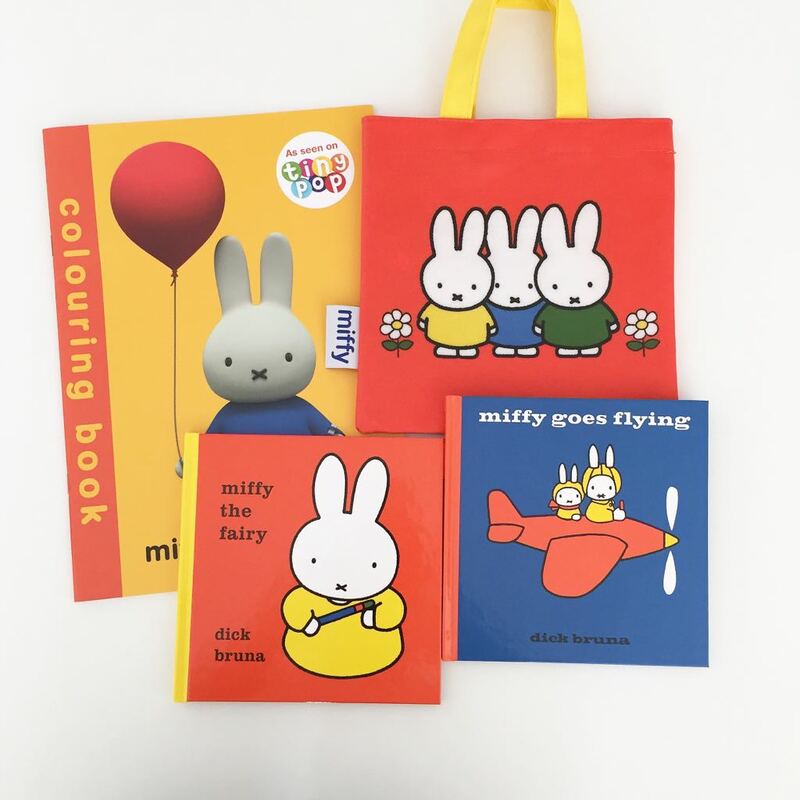 There are so many great gifts on the Miffy website, I got my eye on the Miffy Draw Wipe Clean book when she is a little older. 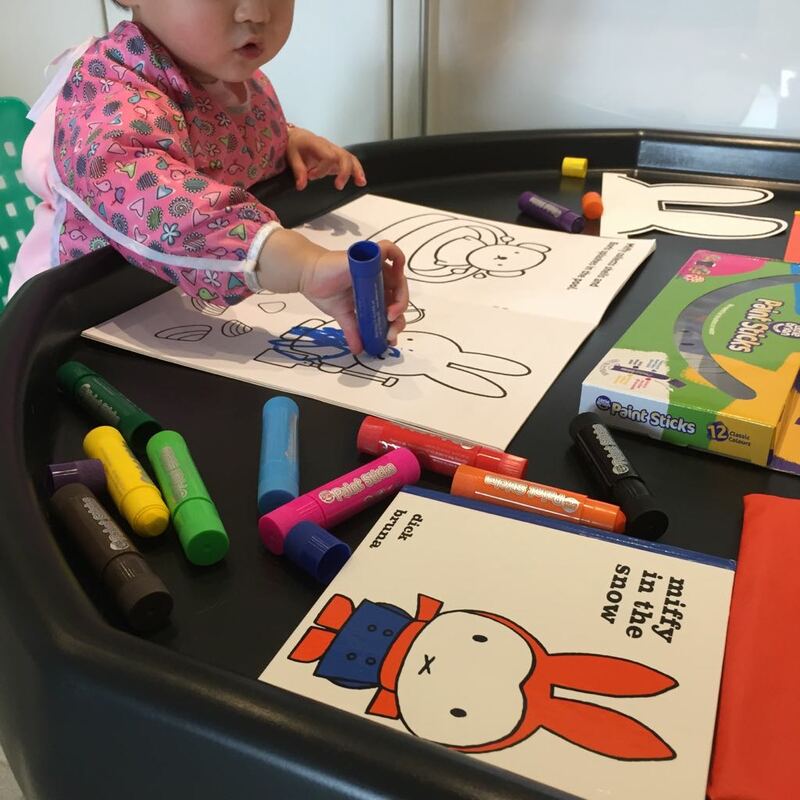 I was trying to teach her all the colours and to colour in following the colours on the Miffy story books. 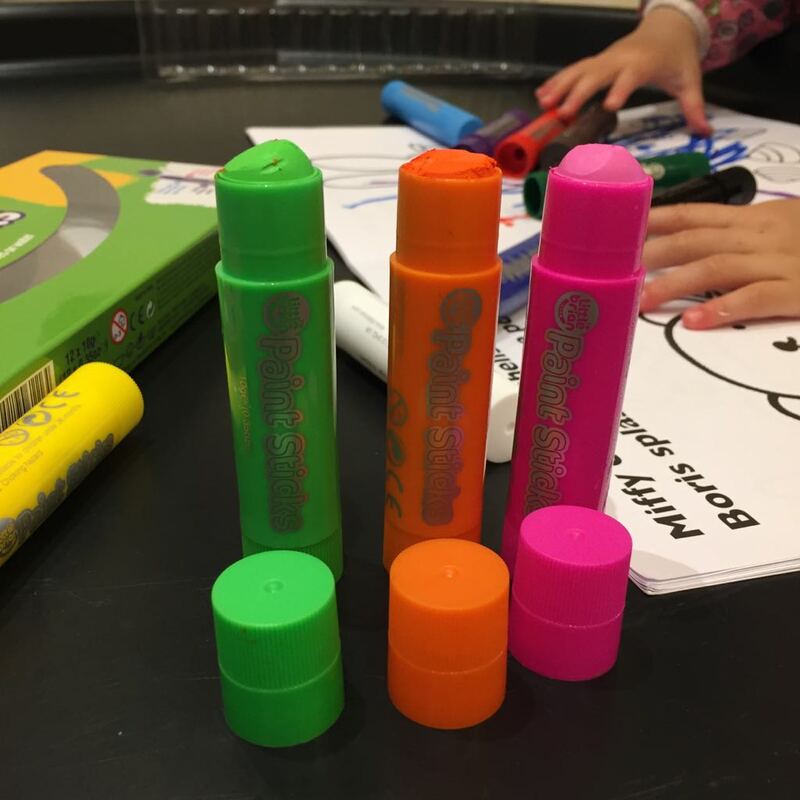 These simple activities can keep them busy for almost a good hour and longer if you throw in some stickers and let them get creative! 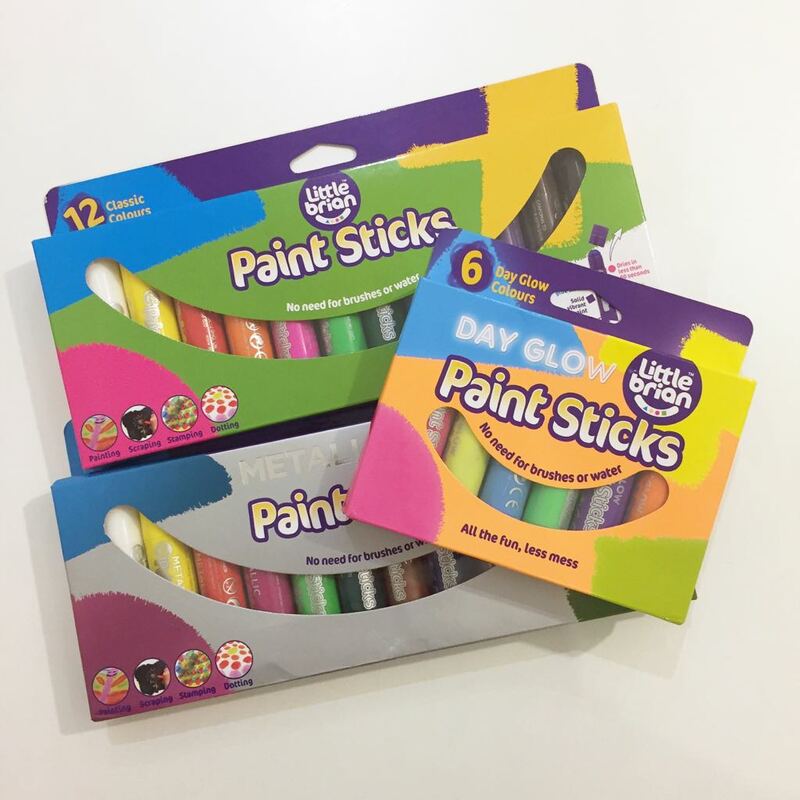 As we get closer towards Christmas we will be using these more in our art & craft at home and have a go at stamping and scratch board. 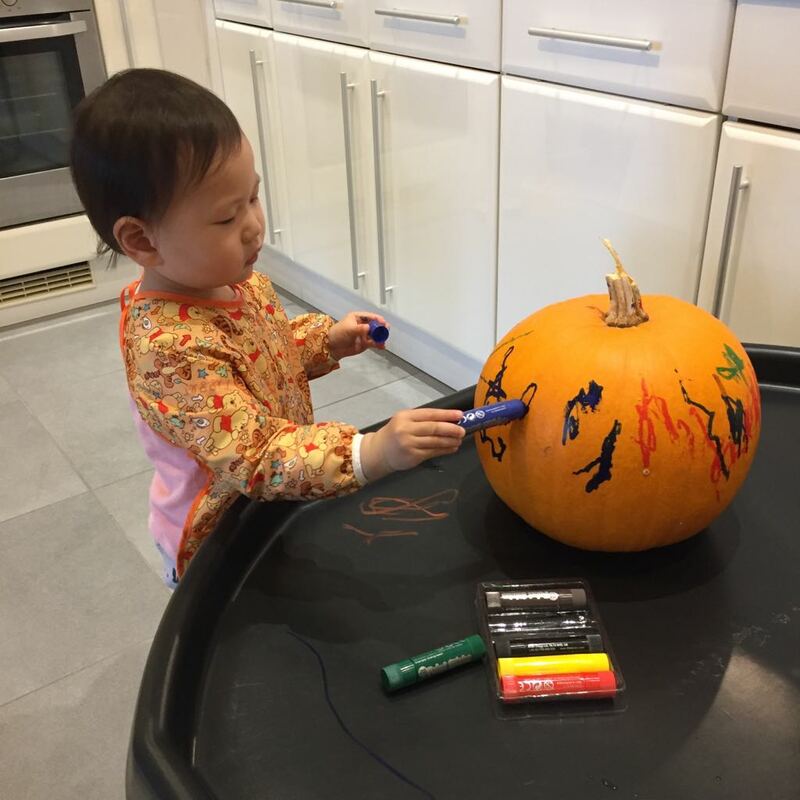 We also used our paint sticks to colour in her pumpkin for Halloween, a great way for the younger ones to get involved. 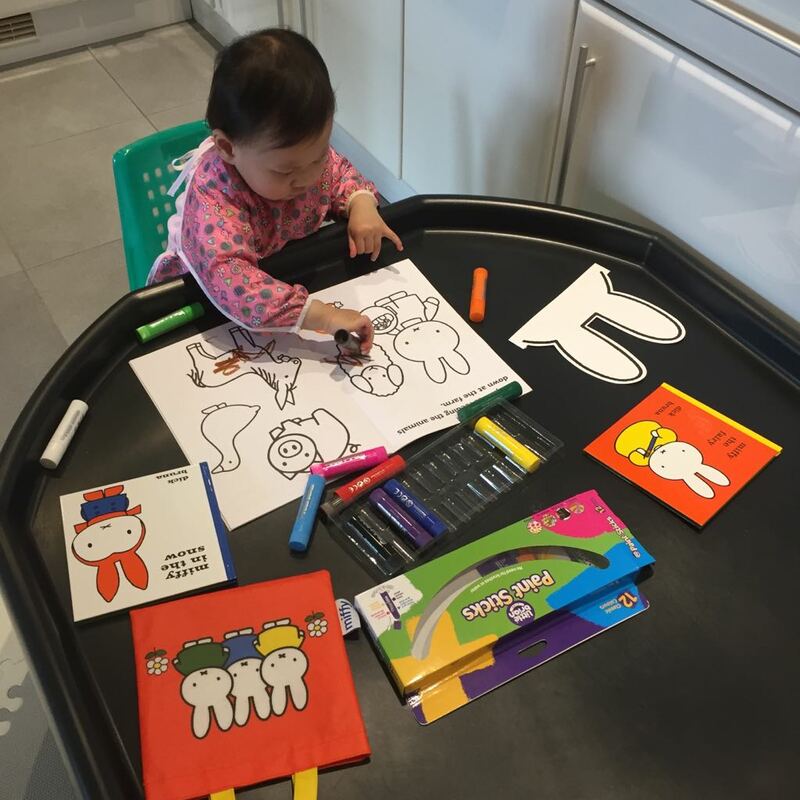 Do you have a tuff tray and what activities do you do on it with your little ones?